Earthworms have long been known to be beneficial in agriculture. Their consumption of organic materials speeds up decomposition, which makes soil nutrients readily available to plants and other downstream decomposers. 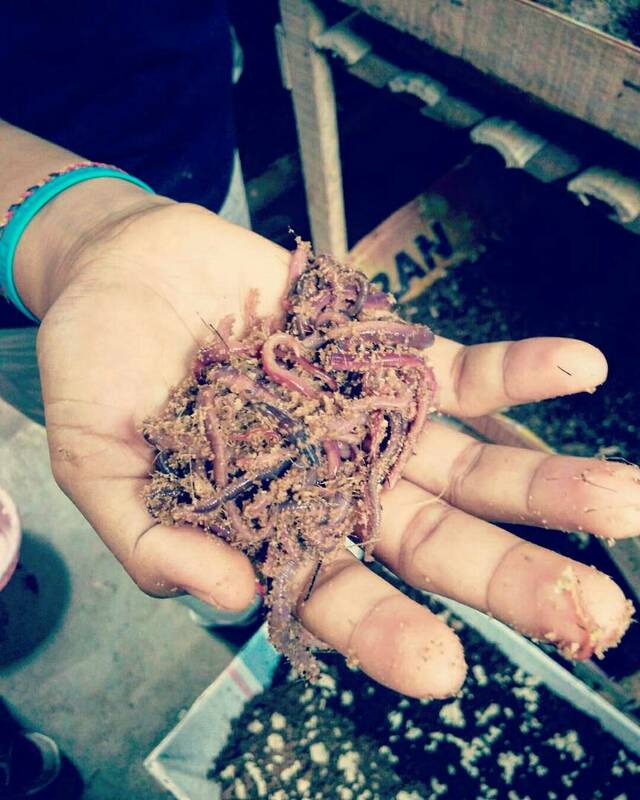 With the rise of organic farming, more and more people have been taking up growing earthworms to make vermicompost and/or sell them to others. And thus, the lowly earthworms have finally gained economic values. In one of their preparations to undertake KKN, several UGM students, in a collaboration with Indmira, participated in a workshop on vermiculture (earthworm growing). The event took place in Candi village, Wonosobo Regency, Central Java, and was led by Mr. Sigit. Wonosobo is located on Dieng highlands and known to be a center for horticulture. The main commodities, among others, are potato, cabbage, chinese cabbage, salak, and duku. However, these activities are not accompanied with a sufficient waste management. Mr. Sigit, who had taught a university in Yogyakarta, saw an opportunity to exploit the farm waste and started a vermiculture farm. Vermiculture is not a complicated process. It is done in a roofed but open facility with shelves for worm growing boxes. Worm colonies can be started with purchasing worms from commercial growers or raising wild caught worms from the surrounding area. Starting with 100 worms, one can end up with 100,000 in one year. The farm byproducts are an ideal feed for these animals. But before feeding them, the farm wastes have to be cut into smaller pieces, spread on the colony, and watered. The water used is the same volume as the chopped wastes. The market values for worms used in vermiculture range from Rp 70,000 to 100,000 per kilogram depending on the type of worms. The resulting vermicompost are valued at Rp 10,000 to 17,500 per kilogram. This can mean an additional income for farmers. The success of vermiculture in Wonosobo would only complete the farming cycle in the area. Farmers would not have to worry about letting their farm waste piling up. Earthworms could speed up the decomposition and maintain, if not improve, the soil fertility continously.